The Fun Combo X2 does as its name implies, it doubles the fun. 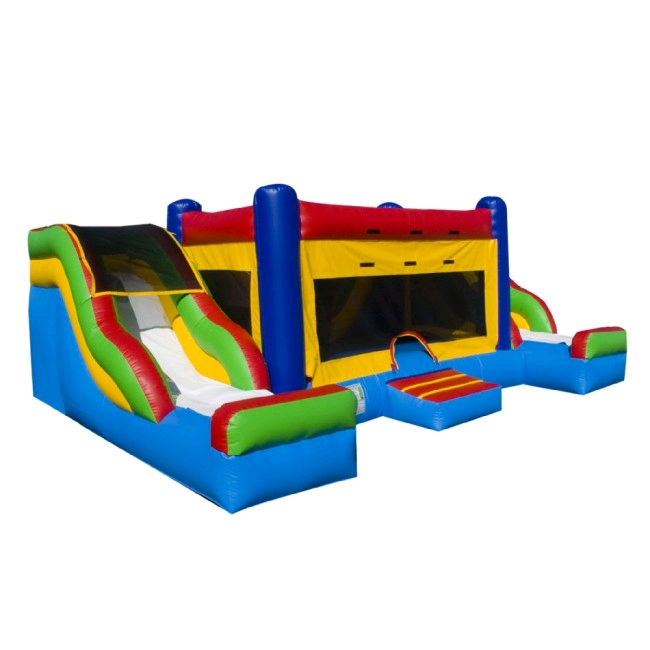 This exciting product has two slides, two climbers, and two basketball hoops to go along with its 15-foot wide bounce house. The bouncing area leads to a climb and slide on either side of the structure. The slides are also guarded by high inflatable walls, a safety net above to prevent jumping and an inflatable bumper at the end of the slide. At only 9.5 feet tall, the Fun Combo X2 is the perfect inflatable for Family and Party Fun!